Against all sensible advice, the Federal Government of Somalia muscled in on a local election to shove aside an Islamist conservative candidate. It scored a tactical victory but created significant additional risk for the country already wracked by conflict and divided along regional and clan lines. On 19 December, local lawmakers in Somalia’s restive South West state elected Abdiasis Mohammed “Laftagareen” president in a controversial poll that is certain to sow new instability. Laftagareen, former head of the National Intelligence and Security Agency, would not have won without the Federal Government of Somalia’s manipulations. 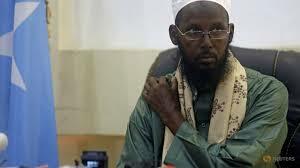 Mogadishu tilted the balance in his favour by arresting his popular Salafi opponent, Mukhtar Robow “Abu Mansur”, a former leader in the Al-Shabaab insurgency, and deploying Ethiopian troops in key towns to suppress dissent at the outcome. The risks of Mogadishu’s intervention are manifold. By detaining Robow and imposing Laftagareen, the Federal Government is alienating a huge clan constituency: both men belong to the Rahanweyn, one of Somalia’s four main clans, but Robow comes from the biggest and most influential sub-clan. In drawing in Ethiopia to enforce its writ, the Federal Government is inflaming anti-Ethiopian sentiments. Many Rahanweyn, a clan which Addis Ababa has long courted, will likely now resent how brazenly Ethiopia has interfered in Somali politics. With Robow’s arrest, it signals to other insurgent leaders that giving up their struggle can land them in jail. Most important, Mogadishu is squandering an opportunity to build local models of power sharing with Islamist conservatives like Robow, who have the potential to moderate Salafi thinking about politics as well as undercut support for the Al-Shabaab insurgency. Believed to be 50 years old, Robow is a native of the Bakool region, and a prominent member of the Leysan sub-clan (part of the Rahanweyn clan) that dominates the area. A Salafi who blends conservative theology with political pragmatism, he is one of the few prominent Somali Islamists with clerical training, having studied Islamic law in Sudan. Robow is a veteran of the anti-Soviet jihad in Afghanistan and briefly managed a Saudi-funded Islamic charity in Somalia. A long-time leader of the Somali Islamist movement, he helped reconstitute elements of Al Itihaad Al Islamiyya, which the Ethiopian army crushed in 1997, into the Union of Islamic Courts, which briefly held power in most of south-central Somalia in 2006-2007. After another Ethiopian invasion disbanded the Islamic Courts, Robow became deputy leader and spokesman of Al-Shabaab, originally formed to fight the “Ethiopian occupation”. In 2013, Robow left Al-Shabaab with a small band of loyalists after a long-simmering dispute with the insurgency’s top commander, Ahmed Godane, turned violent. Robow lost dozens of fighters in days of combat with Al-Shabaab near the coastal town of Barawe. He retreated to his home district of Huddur, where he sought the protection of his Leysan kin. The U.S. had placed a $5 million price on Robow’s head in 2012 but seems never to have targeted him with drone strikes or other attacks. As far back as 2009, he had telegraphed his intent to leave Al-Shabaab and maintained discreet on-and-off communication with senior Somali and U.S. officials. In June 2017, the U.S. removed the bounty on Robow at the Federal Government’s request following a series of intensive talks brokered by senior Rahanweyn clan and elected leaders. Most of these men owed him a favour: in 2009, following Al-Shabaab’s capture of Baidoa, the capital of South West state, Godane ordered Robow to kill all government officials in town. Robow defied the order, giving safe passage to the officials, most of whom were his clansmen. This incident continues to resonate within the clan, helping account for his popularity. The terms of Robow’s defection have never been made clear. Informed sources say the agreement was vague. The Federal Government saw propaganda utility in Robow’s departure from Al-Shabaab, but also knew that his fighting force was shrinking and under constant attack. His force’s upkeep was becoming burdensome for his sub-clan. These weaknesses partly explain why Mogadishu entered no formal arrangement with him. In hindsight, it is clear that the Federal Government never intended to welcome Robow into the Somali polity. It encouraged him to run for president of South West state in late 2017, but its interest was immediate – to destroy the political fortunes of Sharif Hassan Sheikh Aden, who was the state’s president at the time. Aden belonged to a constellation of assertive regional leaders who were beginning to push back against Mogadishu’s demands. Robow got a wink and a nod from the Federal Government to challenge Aden, who was planning to seek another term. Aware of Robow’s clout and rattled by Mogadishu’s meddling, Aden abruptly resigned. The widely held view at the time was that Robow was Mogadishu’s favoured candidate. Other hopefuls dropped out, meaning that he was headed for overwhelming triumph. But the assumption of Mogadishu’s blessing was mistaken: once Aden was out of the picture, the Federal Government put the second phase of its plan into action – to stop Robow at all costs. The Federal Government delayed the polls three times. It flew a special military unit to Baidoa, ostensibly to provide extra security, but from the residents’ perspective, as an attempt to stoke fear of Robow. It placed legal obstacles in his path, saying he should be disqualified because he had not gone through its Defector Rehabilitation Program for vetting ex-members of Al-Shabaab. Only those ex-insurgents who have done this program are supposed to get amnesty. This gambit failed, however, because Mogadishu applies the rehabilitation and amnesty programs’ provisions inconsistently. State security institutions have absorbed a number of high-level Al-Shabaab defectors who have undergone little or no vetting. None of these manoeuvers forced Robow from the race or reduced his popularity. Finally, the region’s acting president lured Robow to a supposedly routine meeting, where Ethiopian officers promptly arrested him, transferring him to an Ethiopian army base on the city’s outskirts before flying him to Mogadishu. A brief firefight between Robow’s supporters and security forces erupted in Baidoa after news of his arrest spread in town. Two days of riots left at least eleven people dead, among them an MP. Further disturbances are possible, as the population is deeply disaffected by Robow’s removal and Ethiopia’s involvement therein. Left without a strong opponent, the Federal Government’s man Laftagareen prevailed in the election. The South West state crisis is not just a case of a mishandled poll or a heavy-handed arrest. It highlights the ways in which Somalia’s unresolved tensions overlap and feed off one another. An ambiguous amnesty program for Al-Shabaab defectors, a federal authority bent on clipping regional politicians’ wings, as evidenced by Mogadishu’s removal of Aden, and debates over the role of Islam in the country’s politics and future trajectory all add to the combustible mix. Robow’s arrest throws the last issue – the role of Islam in politics – into starkest relief. The Federal Government portrays the likes of Robow as outliers because they think Islamic tenets should largely determine questions of governance and state policy. But Salafism is not a fringe tendency in Somalia. It is mainstream. There are many figures inside the Federal Government, in fact, who espouse this conservative form of Islam. More important, there is no contest in Somalia between Islamists and secularists as Mogadishu wants its international partners to think. It is rather jostling between Islamist factions, principally Ala Sheikh, Dam al-Jaddid and Al-I’tisam, that lies beneath today’s struggles for power and almost certainly will be even more influential after the transition to multiparty polls planned for 2021. The Federal Government went after Robow not because he is a Salafi, but because he is independent-minded and has a solid clan constituency of his own. Nonetheless, due to Robow’s profile as a self-proclaimed Salafi, many Somalis will see his arrest in terms of a clash between religion and state. Had Mogadishu trusted Robow with leadership in South West state, it might have strengthened his pragmatic instincts, mellowed his Salafism and even arguably helped put Somalia on a path to one day reaching a political settlement with Al-Shabaab. It could have demonstrated to top insurgents that they have a future in Somali politics if they are ready to lay down their guns. Instead, by locking out Robow, the Federal Government has strengthened the narrative among insurgents and their sympathisers that peace in Somalia is impossible except on Mogadishu’s terms. It very well may have embittered another young generation of Rahanweyn who are susceptible to recruitment into the insurgency.